How to get local followers on instagram for your business. 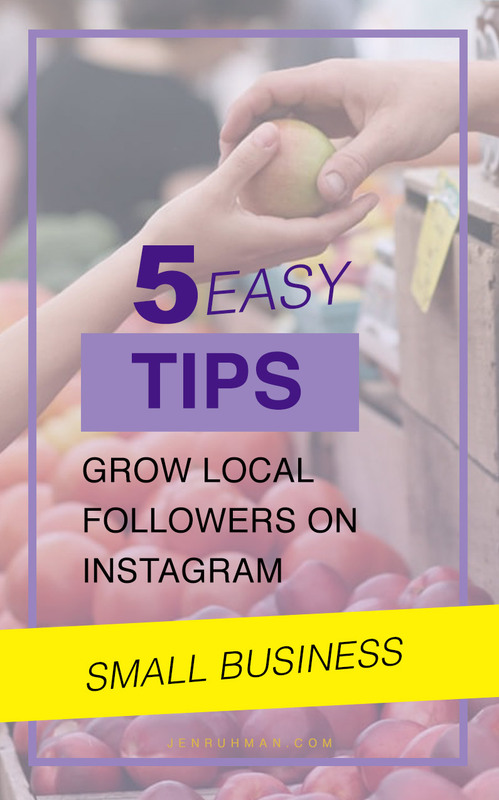 Check out my top 5 tips to easily grow your local followers on Instagram. If you have a small business, you need local Instagram followers. It’s truly how you can get local instagram users to notice your business and get them started into your sales funnel or marketing goals. Today I’m sharing a few powerful ways how you can attract, interact, and gain local instagram followers. This method is not focused on taking better instagram photos… Pshhh. This tutorial shows you how to take action! You can get local followers for free on instagram. That’s right. You’re tapping into over 100 million instagram users… there’s defiantly instagram users that are nearby your local business. It’s time to gain the benefits of instagram for your local business and get local users’ attention to notice your brand! If you’re like most small businesses you probably can’t afford to hire a social media expert. That’s OK. If you have ten minutes to spare per day for instagram, I’ll show you how you can get local instagram followers that will help boost your sales. If you have a small business that relies on foot traffic, you need local marketing. People love using their local hashtags such as their city or exact location in their instagram posts. See all the local potential?! Over 13 million posts. Check out the most recent Instagram posts for this hashtag and interact. Like their photo AND leave a comment. Keep your comments professional and start a conversation, perhaps ask a question. You can even just leave an emoji. 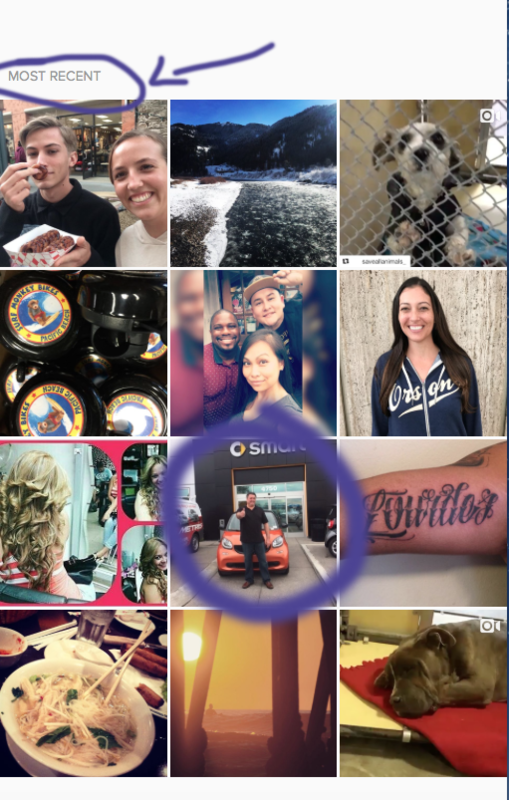 Why should you interact with the most recent Instagram posts? You have a better chance interacting with them, making an impression. You want to interact on photos that have no likes or comments, be the first! The best types of coments to leave on Instagram are questions! You want to “stir the pot” “create buzz”. Your goal in this process is to get the Instagram user to click on your Instagram username to see who you are. Time for a fun example…. This raises curiosity who you are. They will most likely click on your username to check out your profile and photos before commenting back. Now that you’re following a good amount of instagram users in your area, be sure to like their photos! It’s important to continue to like their photos and comment. Eventually the local instagram users you follow will follow you back and interact with you. It does take time and you need to be persistent. However, don’t act desperate or be pushy. This place is already receiving foot traffic and they’re your neighbor. Follow them! 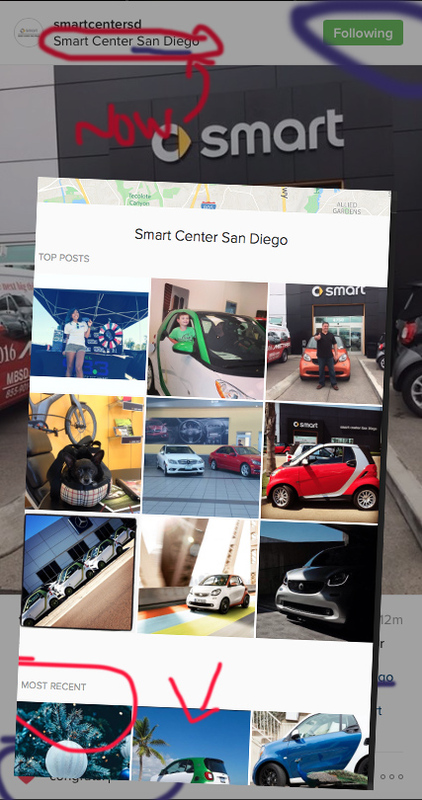 (in this example it’s mostly the car dealership that populates the “most recent”) However, you’ll find some customer posts. This is quick and shameless tip. If there’s a local business that’s a competitor, check out their inastagram account. Study what they’re posting, see what’s working for them. It doesn’t hurt to follow their ideas, you can perhaps think of even better ideas, brainstorm with your employees. If your competitors have followers, they might be more likely to follow you back since they already like the same type of business. Depending on your product or business, you may want to only attract local business owners or local businesses on Instagram. 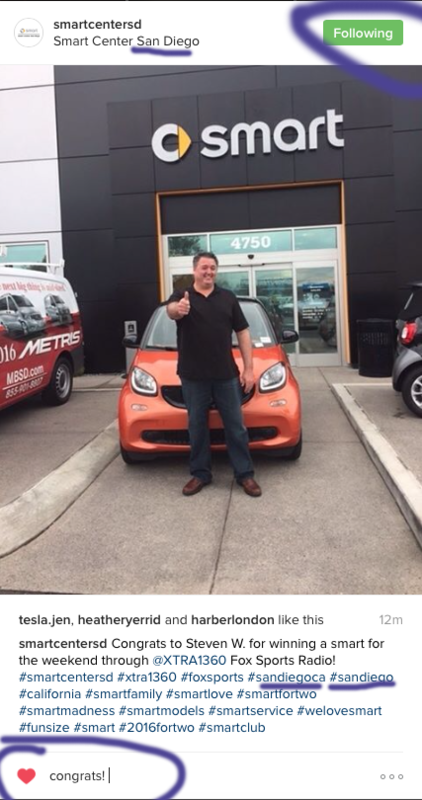 Sometimes, that’s more of a bigger client and can be a bigger sale. For example, it you’re an IT company, you most likely want small businesses nearby to follow you and hire you for your local IT services. You’ll want to simply search for targeted keywords. Use the city you’re located and add “businessowner” for example, #SanDiegoBusinessOwner. You should follow and interact with the most recent posts. Leave comments and get a conversation started. Connect! Network! You can also do a google search for any specific businesses nearby. 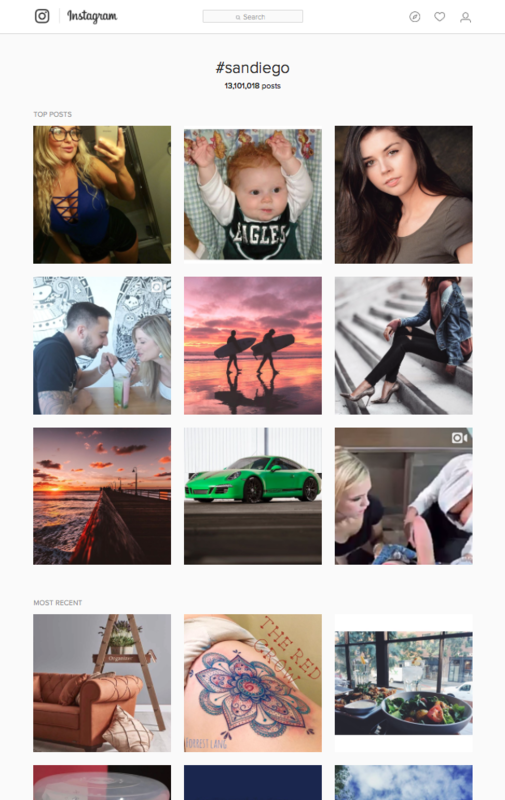 For example, if you wanted to connect with only dentists in San Diego, do a google search “dentists San Diego” Click on their links and website to find their instagram account. 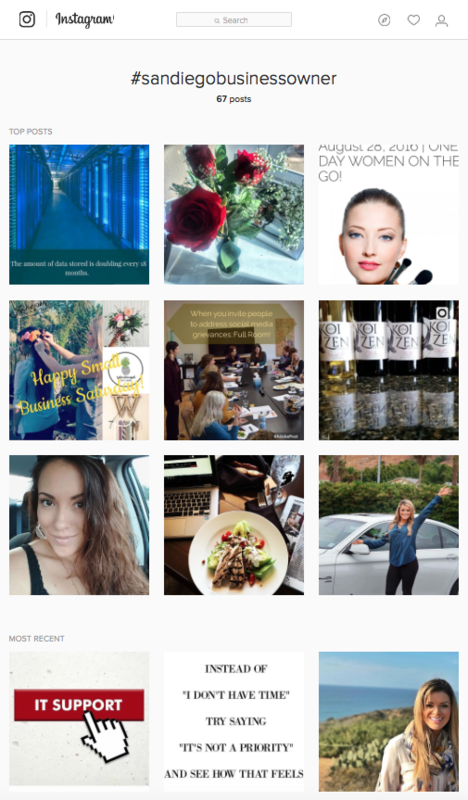 Do you have any tips how to get local followers on instagram? Please share your tips in the comments below.